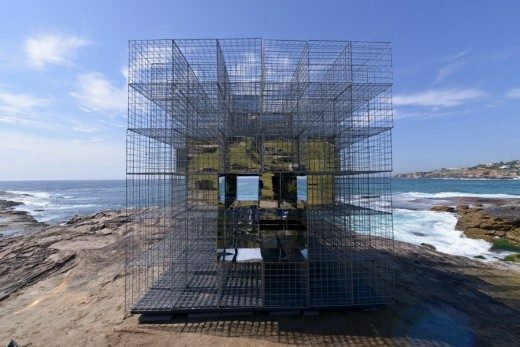 House of Mirrors is an award winning architectural sculpture created by London and Melbourne based design studio NEON for Sculpture by the Sea Bondi 2014, held along the Bondi to Tamarama costal walk in Australia. House of Mirrors was awarded the Andrea Stretton Memorial Invitation to appear at Sculpture by the Sea Cottesloe 2015, Western Australia. House of Mirrors is a reinterpretation of the classic Australian Beach Hut, an architectural typology that traditionally sits boldly and brightly in the landscape, blocking out the exterior environment whilst proclaiming its own presence. House of Mirrors challenges this approach. Instead of creating a dominating presence, it disappears into the natural landscape. Instead of blocking nature out, it welcomes and amplifies it. House of Mirrors creates a magical experience for visitors. It is a house that isn’t quite there; it allows you to sit within it, soaking in the environment in plain sight of everybody whilst simultaneously remaining completely hidden. 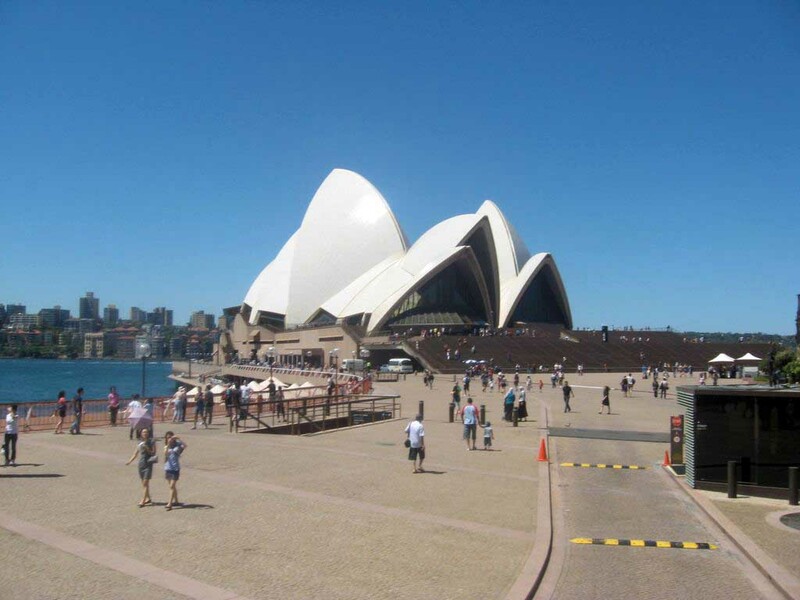 It is a place for sitting, relaxing and contemplating the unique environment that is Australia. House of Mirrors is formed from two primary materials, a steel gabion cage structure and sheets of mirror finish steel. 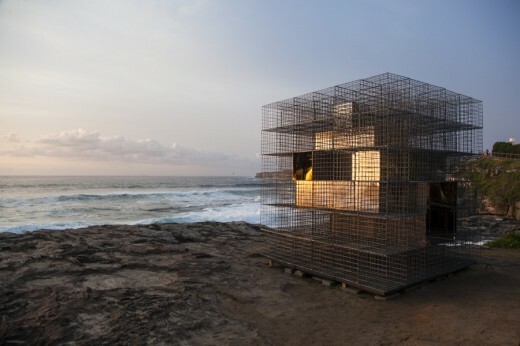 The gabion cage structure acts to blur the house, creating an ephemeral, indistinct form. Material sponsorship of the gabion cages was provided by Sydney based company Permathene, a specialist provider of architectural gabions. The mirrored steel cladding on the exterior reflects the ever-changing surrounding environment, allowing it to camouflage itself and blend in with its context. The interior of the house contains an opening in each of the six sides of the cube, allowing the exterior environment of sea, sky and cliff to flood in. The mirrored surface of the interior reflects and amplifies the environment internally creating a kaleidoscopic view of the surrounding environment focusing visitors’ attention on previously unseen details.